This Stunning Tranquil 1.14 acre estate offers a totally custom build, quality throughout home in pristine condition... Come home to your own private resort! 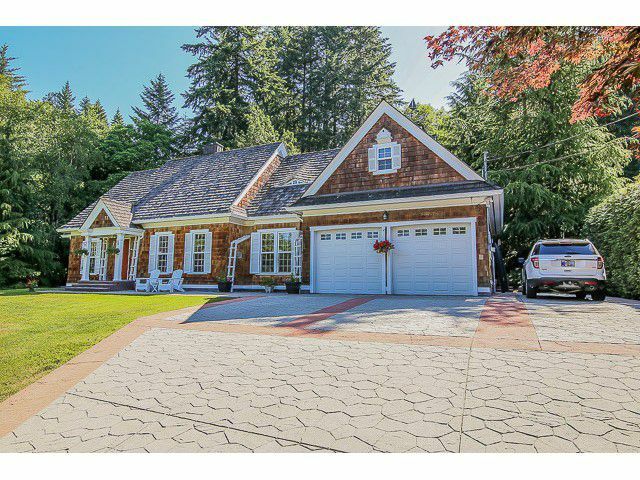 This Prominent acreage surrounded by greenspace and cedar trees. Main floor boasts a welcome bright foyer, hardwood floors, spacius rooms, high ceilings, lots of big windows with natural light. Upstairs has 2 large bedrooms with a possible 4th bedroom. Big games room offers many opportunities. Main has large Beautiful master 4pc bath with french doors leading to greenspace & patio! Stunning kitchen, granite counters, SS appls. Large island + loads of cabinets for storage. Oversized garage, AC, beautiful stamped concrete driveway with an abundance of landscaping & serenity!